Imagines a long playing record, which has only one groove, which is so arranged so that the needle in it moves back and forth. The object describes a cause and effect operation. 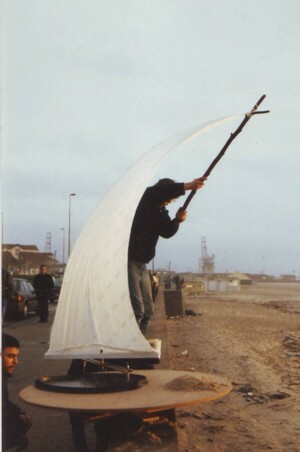 The groove has the function to adjust the sail back and forth so it oscillates under the influence of wind. 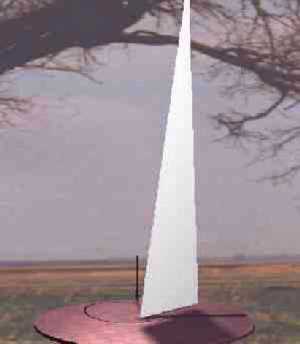 The sail for his part, presses the disk over the groove into a rotating motion.